On 14th August 2017, salvage helicopters Helimer 202 and Helimer 207 of the Spanish Maritime Safety and Rescue Society (SASEMAR) were both scrambled to a serious incident 30 miles south of Gran Canaria. Reports had been received the bulk carrier MV CHESIRE was subject to a major fire in one of its cargo holds. The rescue swimmer on board Helimer 202 was Javier Losada Carballo and on Helimer 207 was Víctor José Torres Navarro. Helimer 202 was the first on the scene, and with conditions onboard becoming increasingly dangerous, the decision was made to evacuate all personnel. Javier Carballo was the first on board and exhibiting exceptional bravery amidst the extreme conditions of heat and toxic smoke, and with the ever-present danger of further explosions, proceeded to airlift 4 crew members from the ship, including leaving the relative safety of the wire and use breathing apparatus to assist the crew. Javier’s actions were quickly followed up by those of Victor Navarro, who exhibiting the same degree of bravery battled with the onboard conditions, moving between bow and stern of the ship to rescue a further 11 crew whilst notably suffering the ill effects of the toxic fumes. As Victor departed the ship he was replaced once again by Javier, who evacuated a further 8 crew members, 5 of which had retreated to an isolated room to protect themselves and which he had to locate and lead to safety. Both rescue swimmers demonstrated great skill and bravery during this challenging operation; not only was the cargo hold emitting huge volumes of toxic gases throughout this difficult sequence of airlifts, but they tenaciously and expertly carried out their duties despite the ever-present danger from further explosions. This reality of this risk was thankfully only emphasised as Victor was recovering to the helicopter following the successful evacuation of the last crew members, when a large explosion engulfed the majority of the ship in smoke and debris. 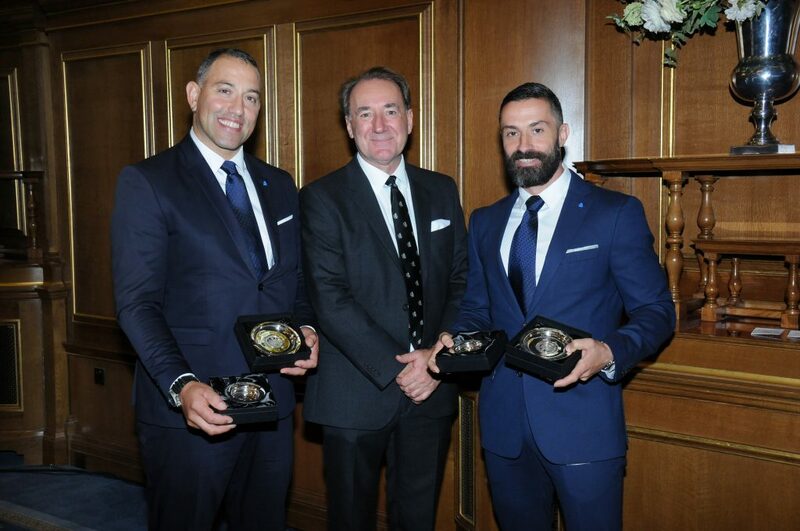 The courageous and skilful actions of both Javier Carballo and Victor Navarro deserve special recognition and it is for this reason that they are both awarded Individual Commendations for their actions.